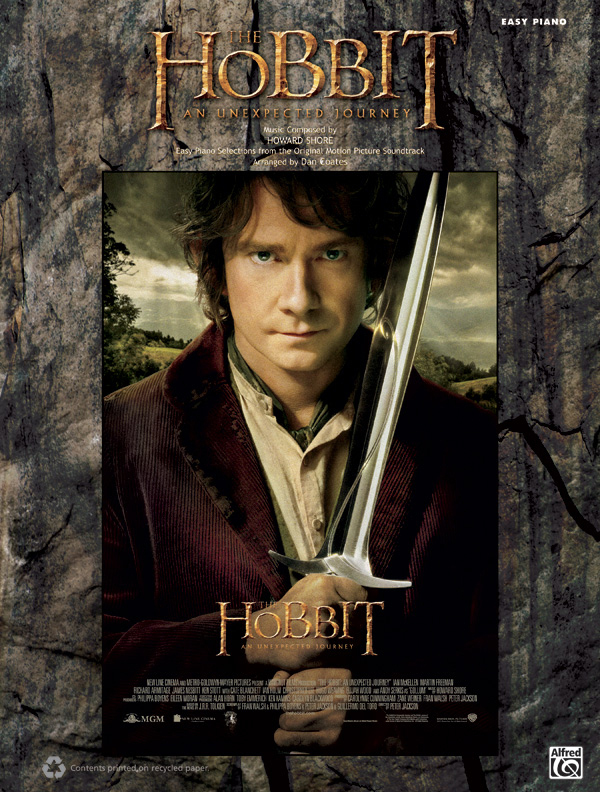 * Play selections from Howard Shore's brilliant score to The Hobbit: An Unexpected Journey! * The eight arrangements in this collection are notably easier to play than those in the separately published piano/vocal edition. * For The Hobbit, Howard Shore masterfully expands upon the musical palette of Middle-earth, blending familiar motifs from the The Lord of the Rings trilogy with an exciting array of memorable new themes. * In addition to the piano arrangements, this beautifully produced souvenir folio features an array of colorful photos from the film. * Titles: An Unexpected Party, Misty Mountains, The Adventure Begins, Song of the Lonely Mountain, Dreaming of Bag End, A Very Respectable Hobbit, Erebor, The Dwarf Lords.